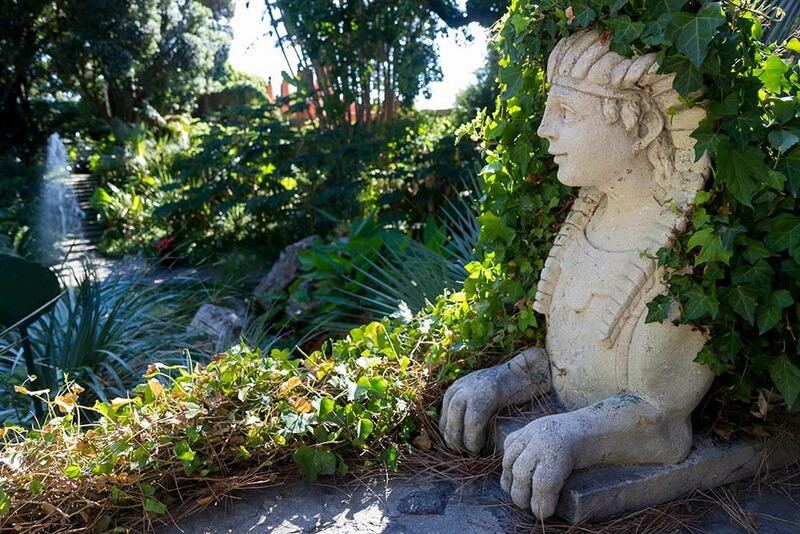 This splendid Mediterranean and tropical garden was built in the 1950s on the request of Susana Walton, the Argentine wife of the English composer Sir William Walton. 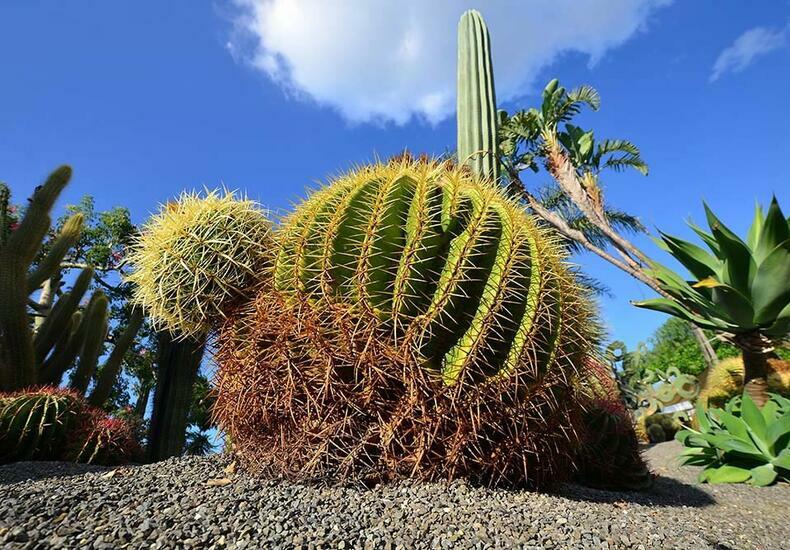 The garden covers about 2 hectares and houses many exotic and rare plants. 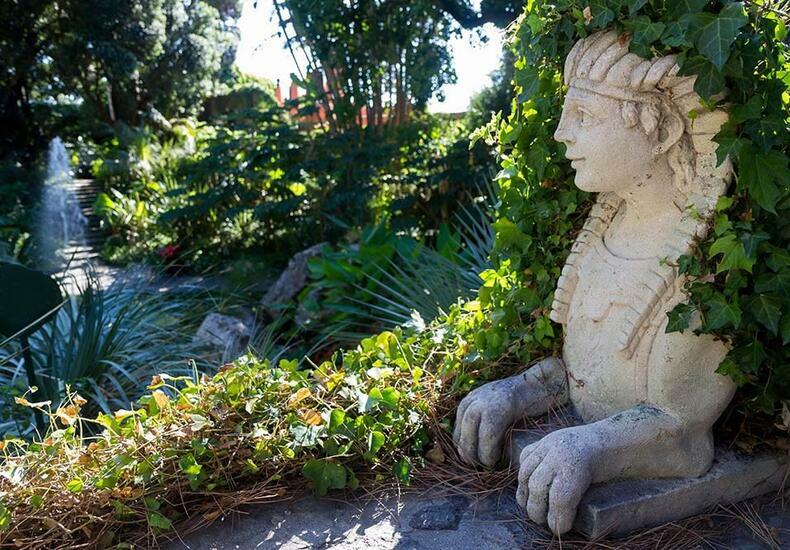 It is enriched with fountains, pools and waterways, which also allow the cultivation of aquatic plants such as papyrus, lotus and tropical water lilies. 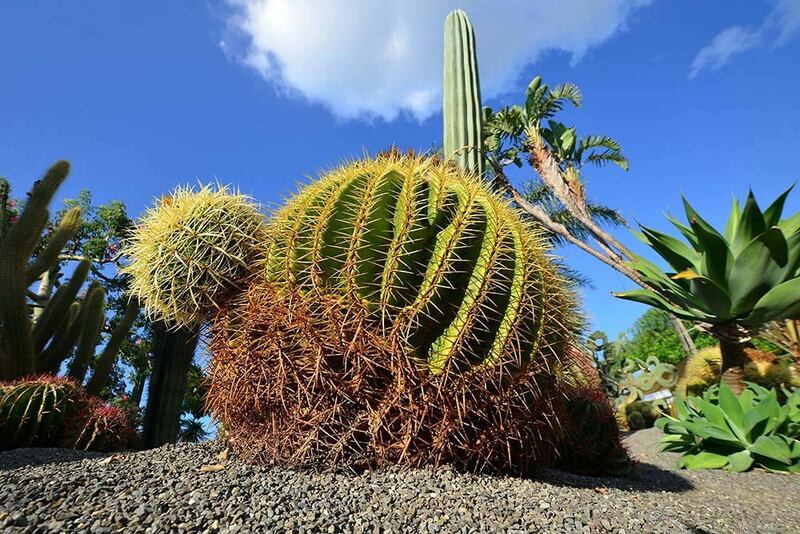 A rare example of eco-sustainability, these gardens house over 400 plant species, including cacti of all shapes and sizes, exotic and centenarian specimens, palms, agaves, prickly pears and Wollemia nobilis, a very rare plant specimen whose fossil traces date back to 90 million years ago. 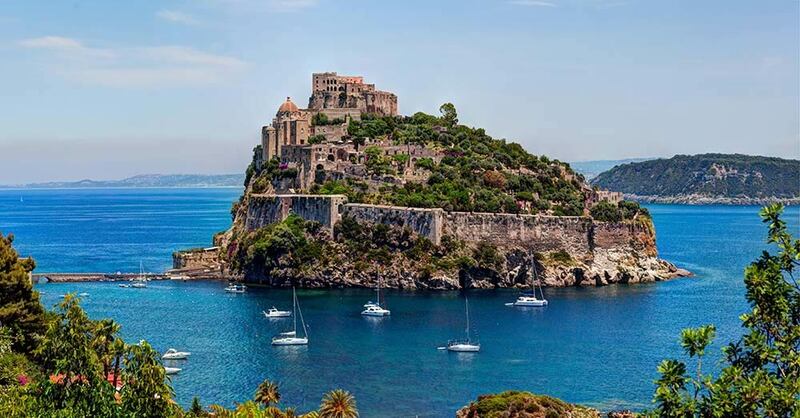 The famous Aragonese Castle is the symbol of Ischia. 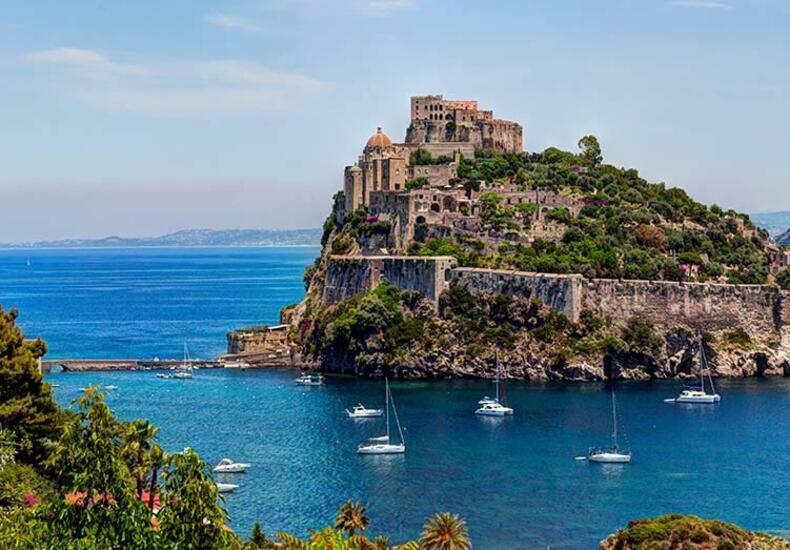 It stands on a rocky island connected to the main island by a masonry bridge over 200 meters long. 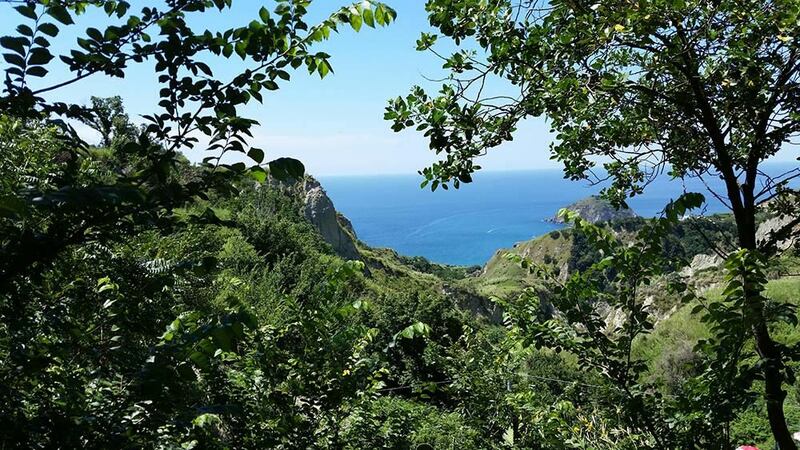 Definitely worth a visit, as well as the nearby Borgo di Ischia Ponte, a historic hamlet of Ischia, popular with tourists from all over the world for its characteristic alleys with old manor houses remained unchanged over time. 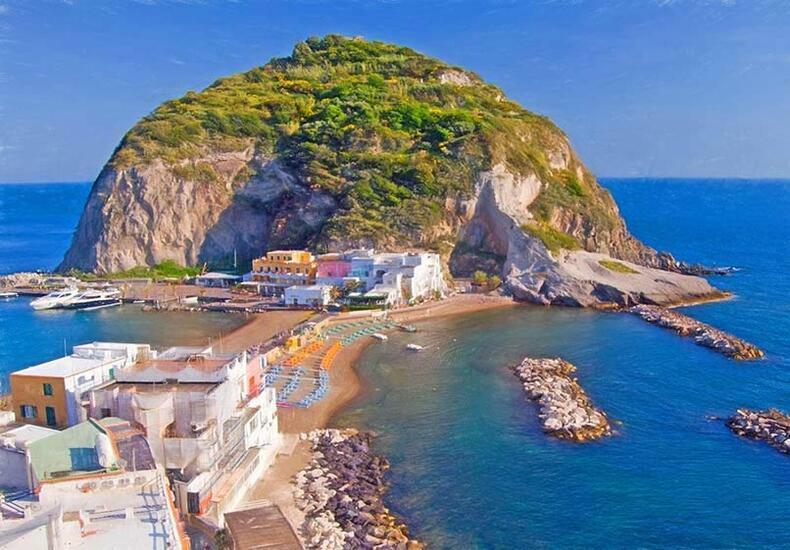 A true pristine and primordial paradise, this ancient fishing village has now become one of the most beautiful destinations on Ischia. The view of the sea, the beach and the marina become even more beautiful and evocative in the evening. 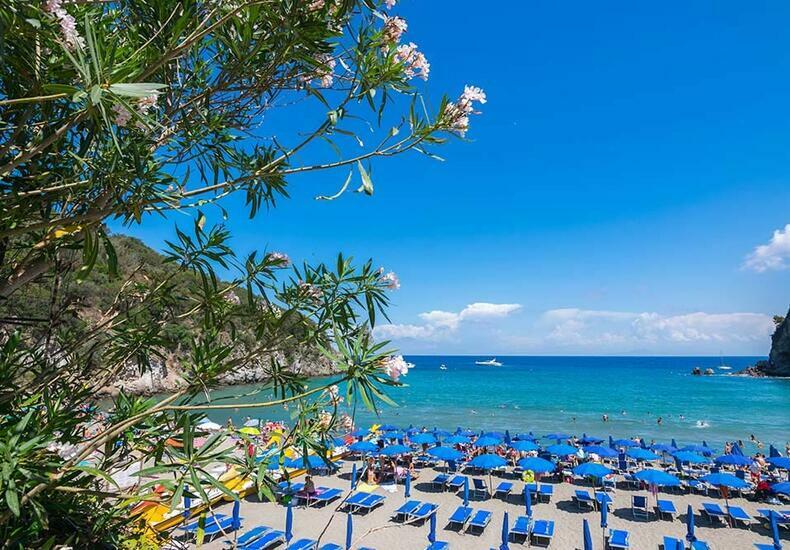 Also, you cannot miss out on the nearby beach of Maronti. 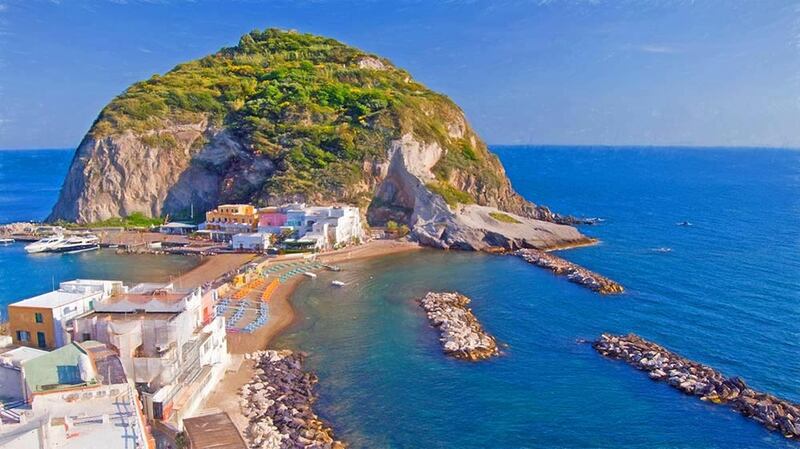 Surrounded by hills and bathed by crystal clear sea, this beach is perhaps the most famous on Ischia and the most popular with Italian and foreign tourists. 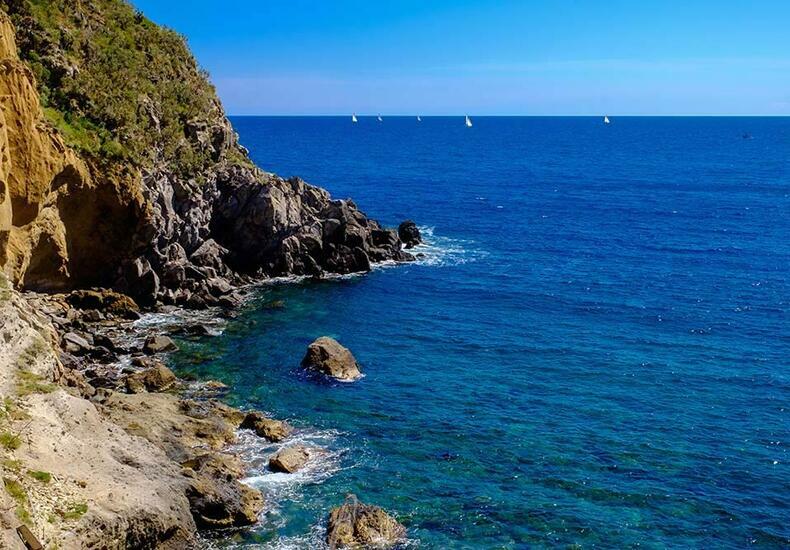 Located in the municipality of Forio, the Bay of Sorgeto is a real open-air spa park, with pebbles and rocks, which are often burning. Sorgeto can be reached both by sea and by land, but only on foot. Here you can enjoy a bath in the middle of the night, under the stars, immersed in the warm waters of these natural spas, even on colder days. Nitrodi spring is popular with islanders and tourists for its therapeutic waters. 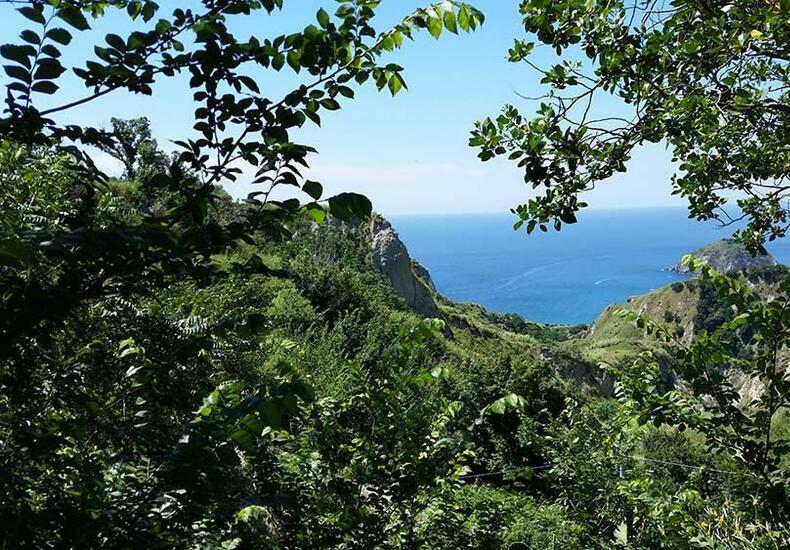 A small spa has been created at the mouth of its spring and many come to visit it to treat various diseases, thanks to its clear healing powers. 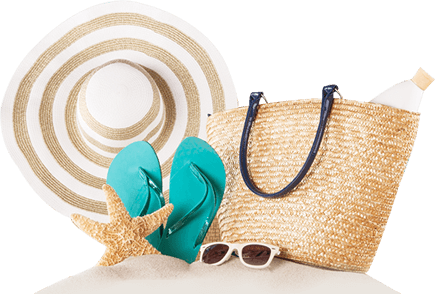 Negombo, Castiglione and Tropical are some of the Spa Parks on the island. 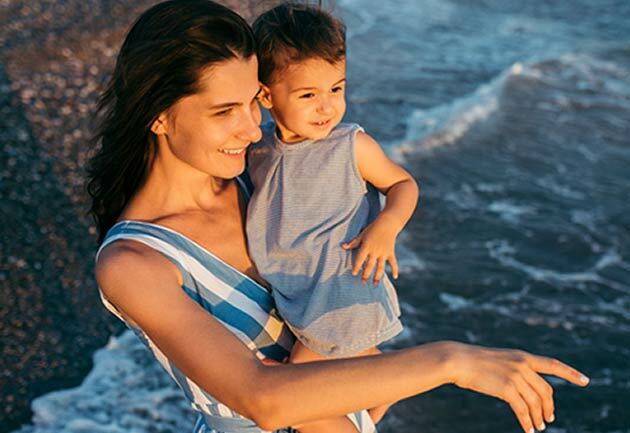 These places of wellness immersed in greenery, surrounded by beaches, gardens and thermal waters are ideal to spend a day in the name of relaxation, including thermal pools, natural saunas, whirlpools and spa treatments.